Join us for exciting programs at Fall Creek Falls! 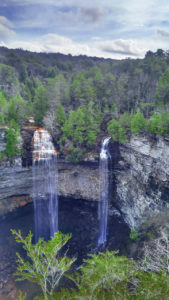 Fall Creek Falls State Park offers a variety of educational and recreational programs for your enjoyment and enlightenment. Join us for Pontoon Tours, various nature hikes, aquatic ecology programs, crafts and games throughout the year. The Nature Center offers educational displays, maps, hiking information, and an orientation video produced by the Friends of Fall Creek Falls State Park.